My discovery of the lovely service that is BookBub has been both a blessing and a curse. A blessing, because I’ve found so many titles to fill my Nook. A curse, because I keep adding titles to my Nook. Actual depiction of the inside of my Nook. Every day I get a little email with a list of titles for my perusal. So far, I’ve mostly stocked up on freebies and the occasional $.99 title. I already have more than 75. I absolutely love being presented with book options every day, but I’m a little worried about my current rate of digital hoarding. But, when you hoard towers of digital books, you don’t have to worry about them falling on your head, so that makes it ok, right? I got a nook for Christmas! 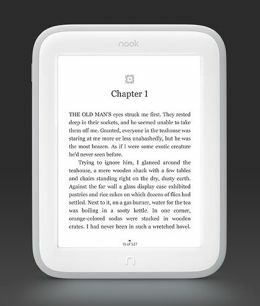 Now, I know e-readers aren’t a new thing anymore, but that doesn’t make me any less excited! This means that I’ll be doing more indie reviews in the near future. I’ve wanted to review more independent publications as a way of paying it forward, since, someday in the future, I just might manage to write something worth self-publishing. Whenever that happens, I would like people to read and review my work as well. The tricky thing will be sifting through the not-so-ready-to-be-published titles and finding the authors who really took the time to do it right, so if anyone has any recommendations for me please let me know! I’m also looking forward to being able to read really long, and therefore quite heavy, books, like Brandon Sanderson’s Steelheart, without having it dig into my legs while I read it. As much as I prefer the real thing, this little device will come in quite handy.